The Air Force is facing criticism for cancelling a major recapitalization due, in part, to not foreseeing the escalating threat posed by near-peer adversaries and high-end capabilities. Officials in the intelligence, surveillance and reconnaissance enterprise within the Air Force and Joint Staff faced a barrage of questions from lawmakers March 15 regarding the Air Force’s decision to cancel the Joint Surveillance Target Attack Radar System (JSTARS) recapitalization program. 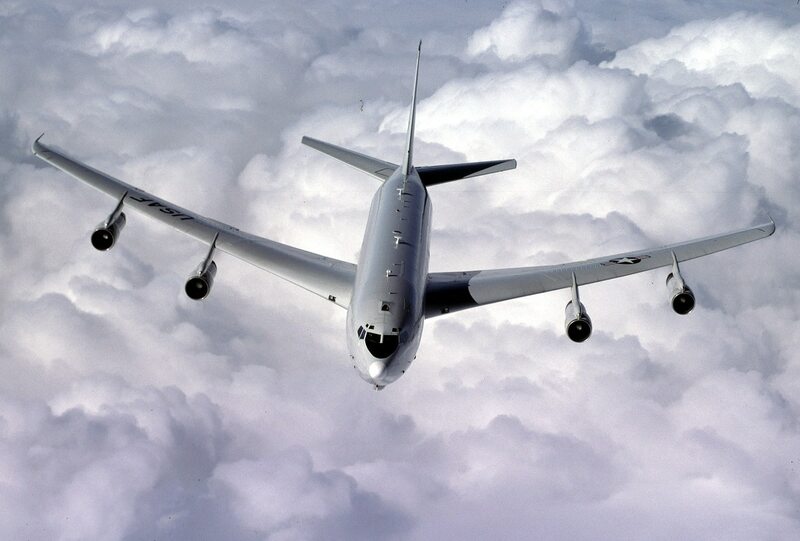 Lawmakers on the House Armed Services Tactical Air and Land Forces Subcommittee asked point blank why the Air Force requested $417 million for JSTARS less than 12 months ago if it didn’t need it. In response, Lt. Gen. Jerry Harris Jr., Air Force deputy chief of staff for strategic plans and requirements, said it was because the service was still undergoing an evaluation and didn’t have a National Defense Strategy that was directing the force to focus elsewhere and prioritize great power competition over terrorism. The Air Force intends to cancel the JSTARS recap program in its fiscal year 2019 budget submission, tanking one of the service’s few remaining aircraft production opportunities still in contention. In a similar theme that has played out across the joint force, the Air Force appeared to be caught flatfooted against near-peer threats that have studied U.S. tactics and techniques over the last 30 years of operations. The military is now in the process of transitioning from almost two decades of war in permissive environments to preparing for potential conflicts against high-end, technologically advanced competitors that edge out the U.S. in certain capability areas. Two military leaders admitted at the TechNet Augusta conference this week that the United States is falling behind in its electronic warfare capability. “In 2011 we weren’t talking about peer threats, we didn’t have a strategy that said you have to focus on the high end … we were focused on winning today’s fight in a [counterinsurgency] type of environment where this airplane was well developed and deserved,” Harris said. Moreover, three witnesses on the panel indicated the existing mix of ISR capabilities might not be able to operate in contested environments. “That is one of the main reasons why with JSTARS we feel like we’ve got to review the recap program to ensure that we’re able to operate in those high-intensity environments,” Lt. Gen. Anthony Ierardi, director of force structure, resources and assessments for the Joint Staff, said. Harris explained that the Air Force is working through hardening cyber and physical defenses, which is why they believe they need to expand beyond the air domain for ISR and increase capability and capacity in all domains. A forthcoming review by the Air Force may address these concerns in more depth. “The Air Force recognizes the need for ISR capabilities across the spectrum of warfare to align with the National Defense Strategy. The Air Force Next Generation ISR Dominance Flight Plan will detail how we will prepare for the high-end fight. It will be published in spring 2018,” an Air Force spokesman told C4ISRNET in response to questions concerning recently released budget materials. The flight plan will chart the course for the Air Force's ISR enterprise from now until 2035. How is the Air Force getting after this? Harris told visibly frustrated lawmakers that the service intends to move its acquisition process and requirements faster than it has in the past. This “will allow us to be able to get ahead of the technology piece so that the money that we invested in the JSTARS recap effort, those radars, the technologies we’re pulling out of that, we think will still benefit us in increment two and increment three … so it was not money wasted,” he said. He also pointed to William Roper, the Air Force’s new assistant secretary for acquisition, as a catalyst to lead this change. Roper most recently headed the once secretive Strategic Capabilities Office at the Pentagon that sought to repurpose existing technologies to get at near-term problems. The Air Force isn’t alone in feeling the ire of Congress for failing to forecast threats. The JSTARS recap cancellation follows the high-profile Army review in which that branch halted major portions of its tactical network. Similarly, while the Army’s tactical network was built for and worked in a permissive environment, officials noted it would not stack up against high-end adversaries in a future fight.